Ambarella. 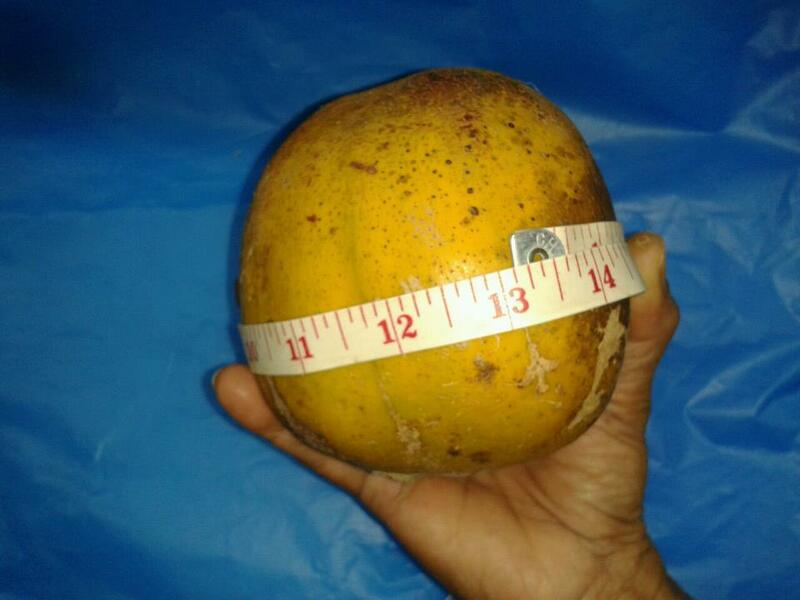 An edible fruit growing on large trees up to 30m. 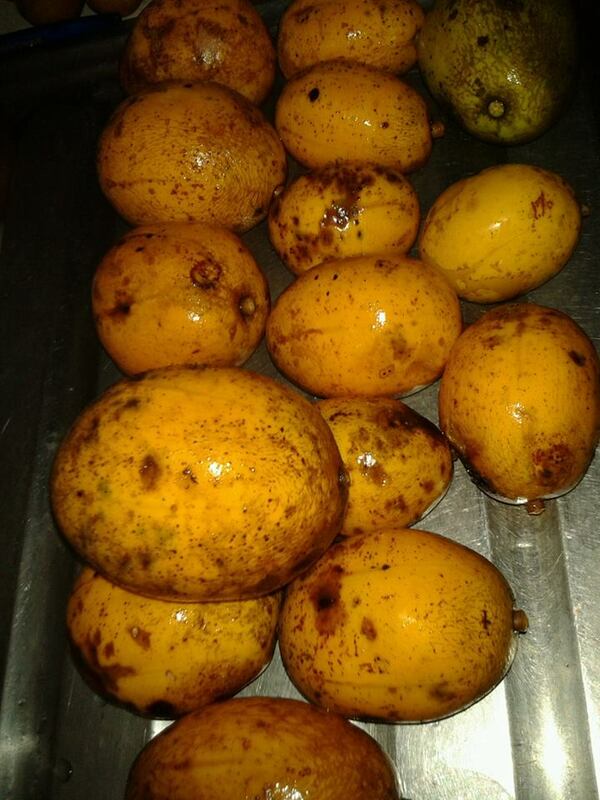 The fruits have thick, sometimes leathery skin and dendritic (fibrous or hairy) seeds. While unripe, the flesh is crisp and firm with a tart acidic taste. 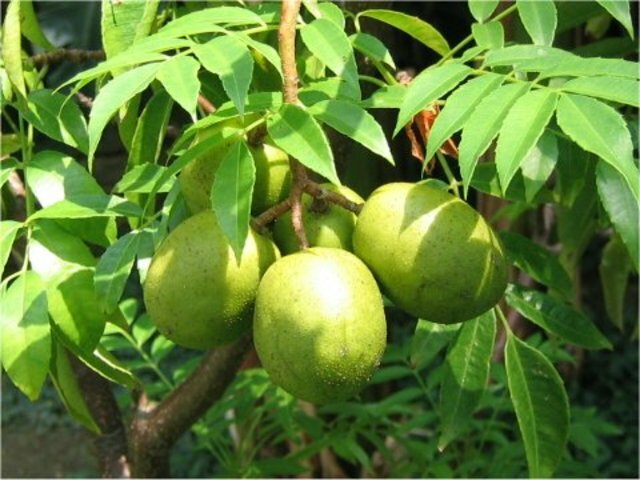 As it ripens, it turns yellow, becomes soft and develops a sweet taste and fragrant smell. 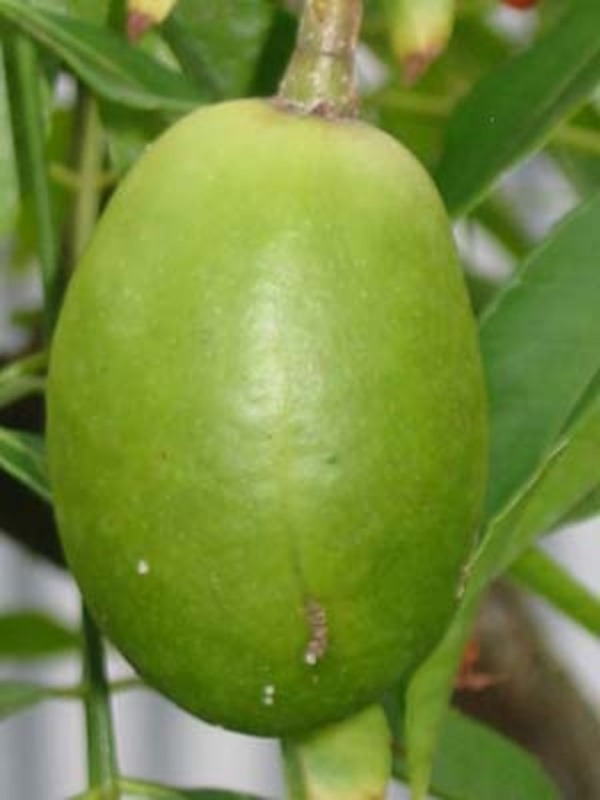 Both ripe and unripe fruits can be eaten raw. It is also often prepared by juicing, stewing with ginger and sugar, pickling with peppers and spices, or made into chow.